Today is an exciting day as it's my very first collaboration video and it's with my all time favourite nail art You Tube channel, Linda165. We came up with the idea of a butterfly theme so I think it's really interesting to then go away and think of your own interpretation of it. The above photo is my design. 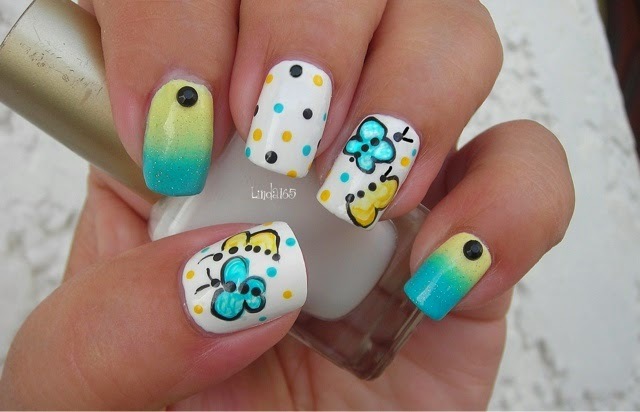 I was going for a sort of slightly oriental butterfly. Originally I was going to add a background but I didn't want to take away from the butterflies themselves. 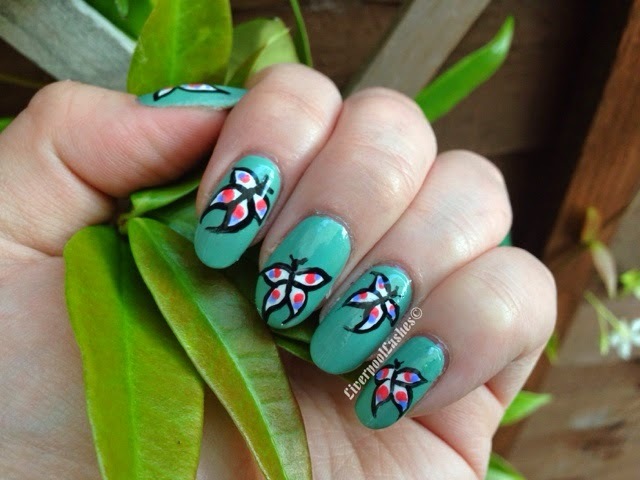 Illiana went for doodle style butterfly with a stunning fade effect on the index and little finger.